This is a great way for elementary school students to discover some of the main bones of the skeleton. The student can see the person without the bones or see the person with the bones. 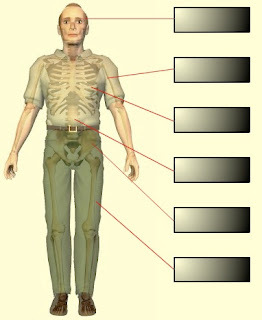 The student then drags the name of each bone in the appropriate box. Once the bones have been named, the student can check his or her answers and print the skeleton. This activity is way too simple for high school, but great for younger children in elementary school.